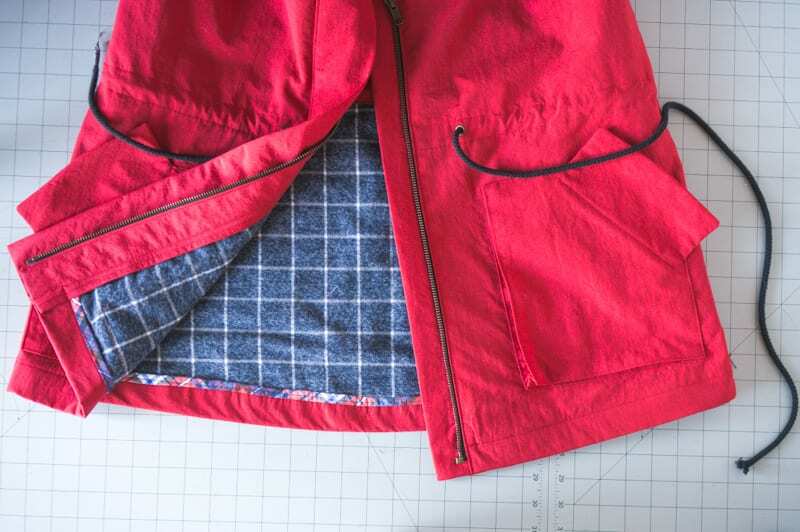 I‘ve had a number of requests for tips on how to add a lining to the Kelly Anorak, so much so that we are going to work on a lining expansion pack for the spring. In the meantime, I realized that a fairly simple way to add a layer of warmth to this coat is by underlining it with cotton flannel, like I did with my recent red nylon Kelly. In this post I will explain how you can do the same. 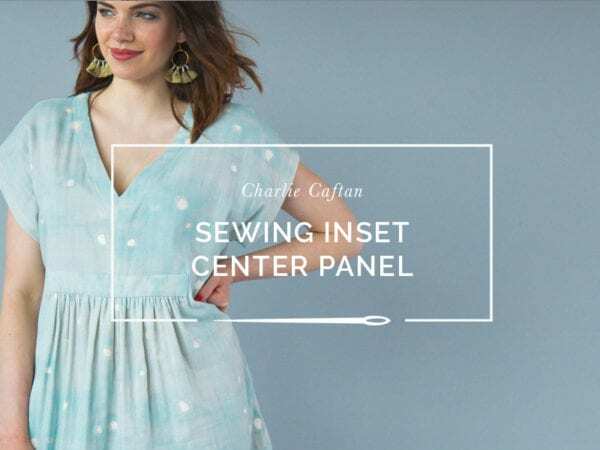 When you underline a fabric, you are essentially layering two fabrics together and sewing them as if they were one layer of fabric; this is often done to add body to thinner fabrics. Typical underlining fabrics are cotton muslin, organza and flannel. 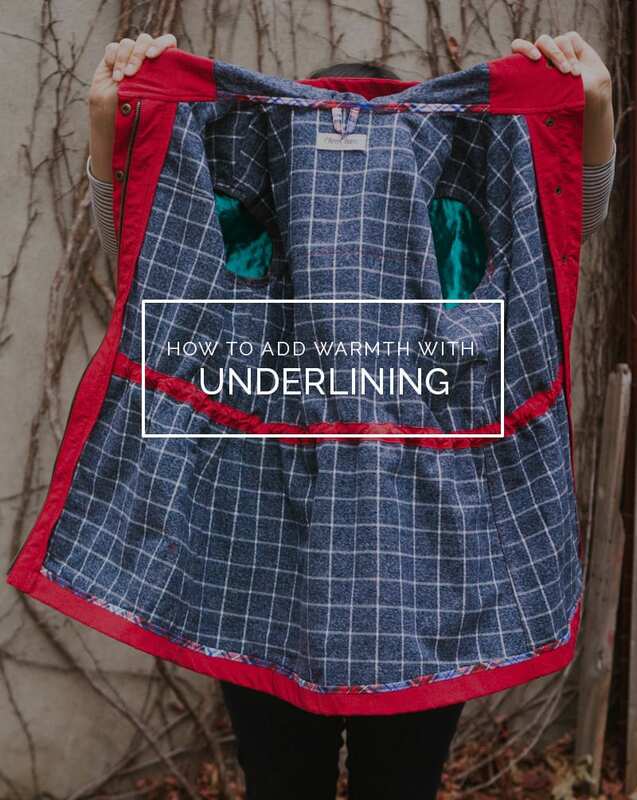 Interlining is slightly different; rather than adding structure, you are adding an additional layer for warmth, and can use lambs wool, Thinsulate, fleece or flannel. 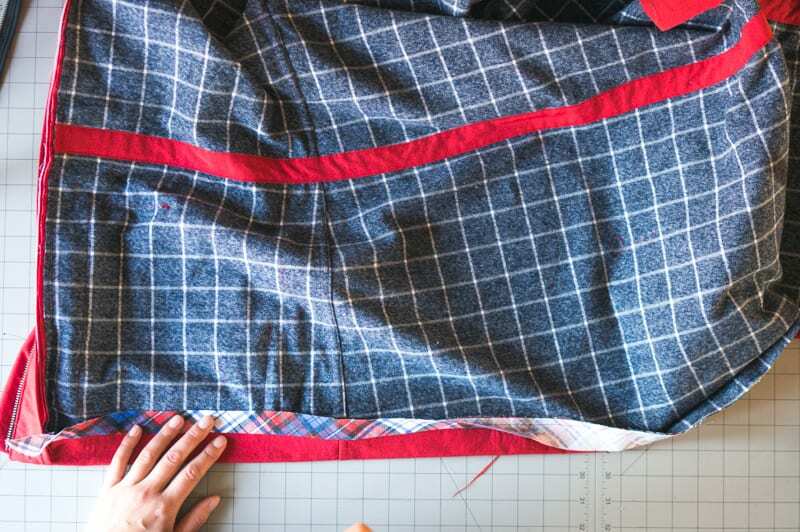 Technically what I did with my red Kelly qualifies as both, since I used the nylon and flannel together to create a warm inter layer, but for the sake of this blog post I will just refer to it as underlining. 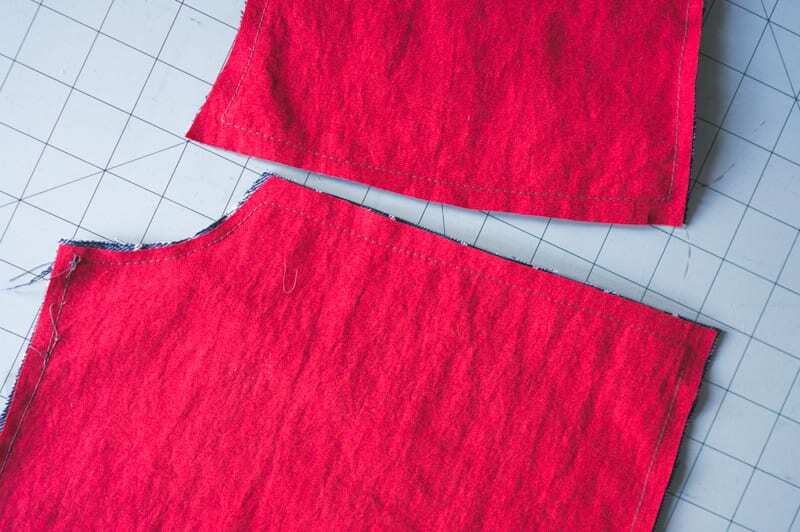 To underline your own Kelly, you’ll need to cut the back, sleeves, hood, front coat and front yoke from your underlining fabric. 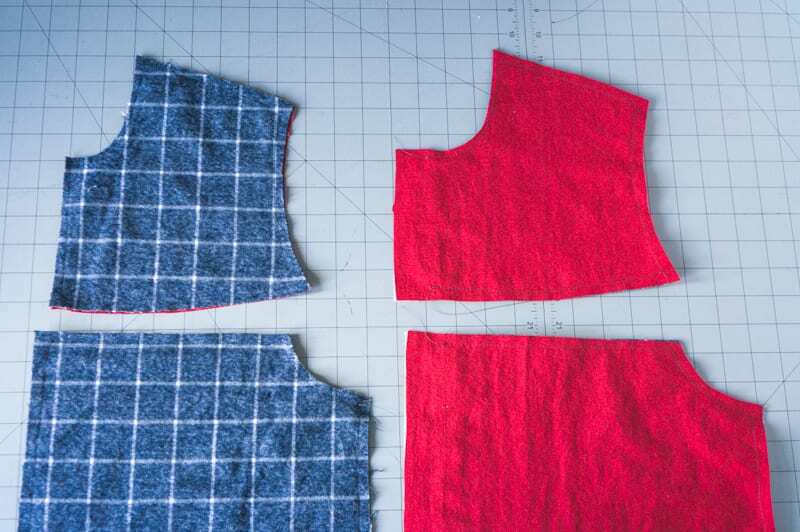 I suggest using a cotton flannel, but you may want to switch to something smoother at the sleeves; in my case I used a satin backed flannel fabric called Kasha, to make getting my coat on and off a little easier. 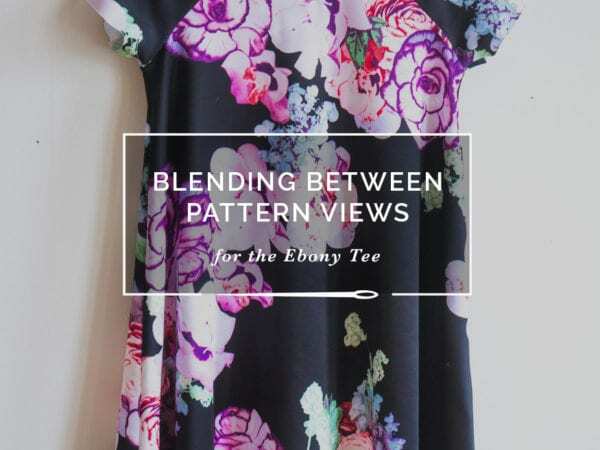 You may want to widen the sleeves slightly since they do become a little more slender with the additional layer of fabric. 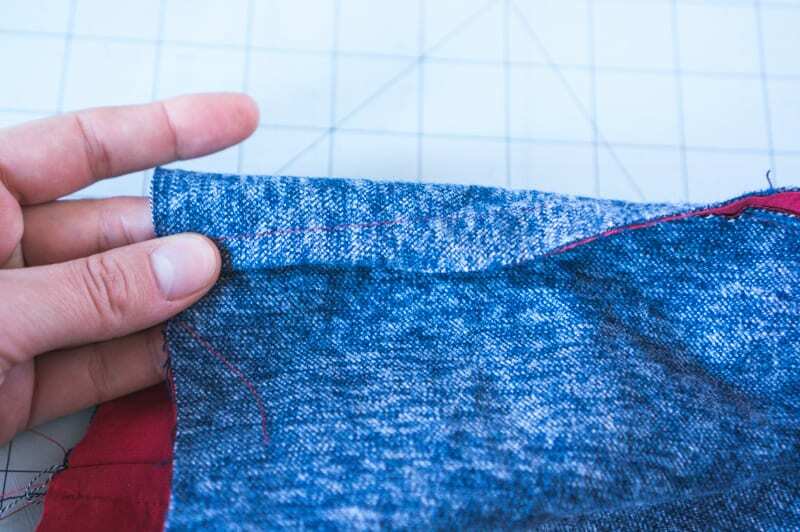 Once your underlining is cut out, baste it to your fabric pieces with wrong sides together, stitching inside the seam allowance. Below you can see how I basted the underlining to the front pieces. 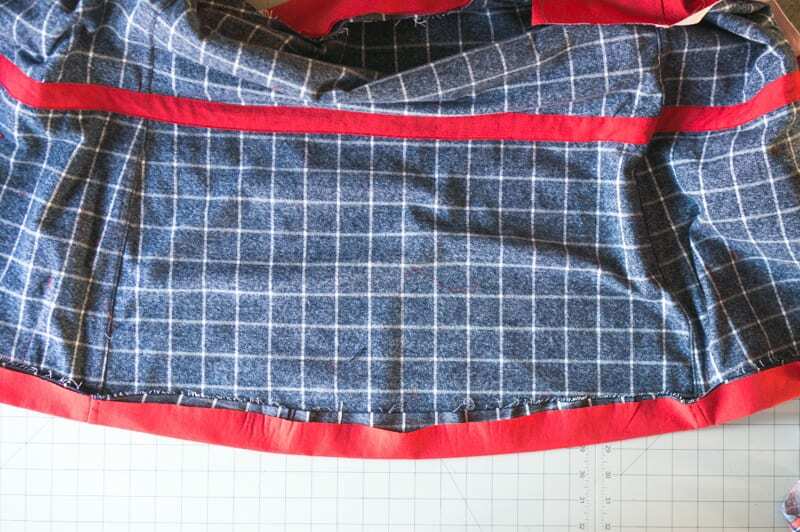 One thing I found very helpful at this stage was a thin coat of temporary spray adhesive designed for fabric like this. 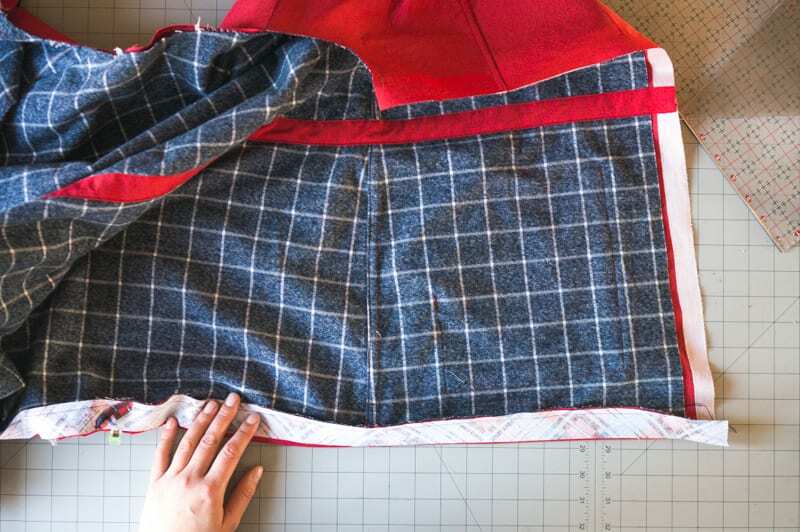 When you are underlining two fabrics together, they often shift and get misaligned at the seams. 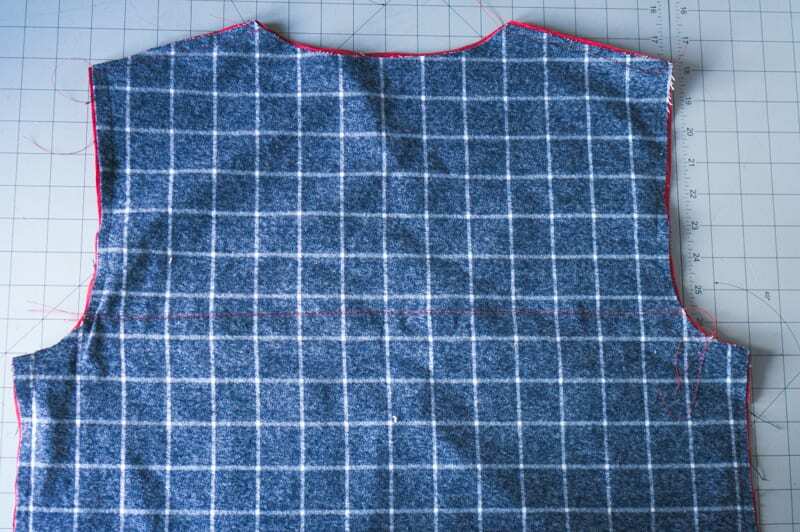 I found the process so much easier and more accurate by temporarily bonding the layers together; I just gave a light mist to the flannel before lining it up with my coat body. I also left the hems un-basted until it was time to hem them; you may need to trim them after you press the hem up, so it’s best to leave them free for the time being. 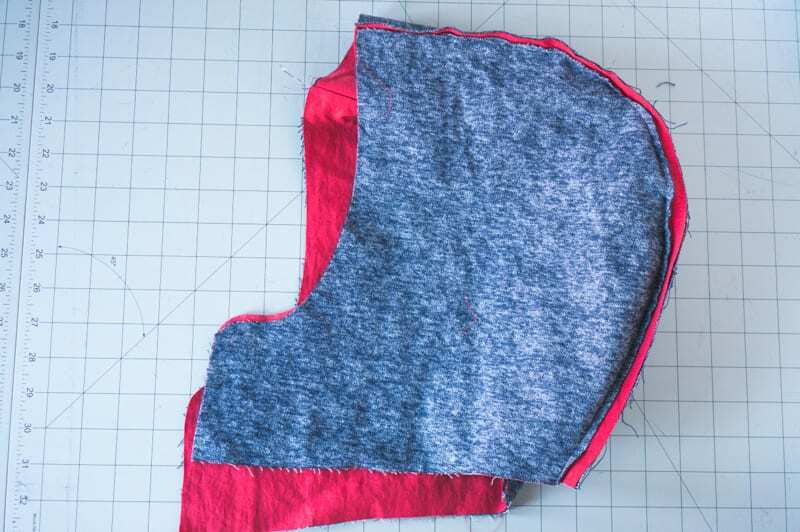 It is not necessary to underline the back yoke – simply underline the entire back jacket and then sew your yoke onto your shell fabric as directed in the instructions. 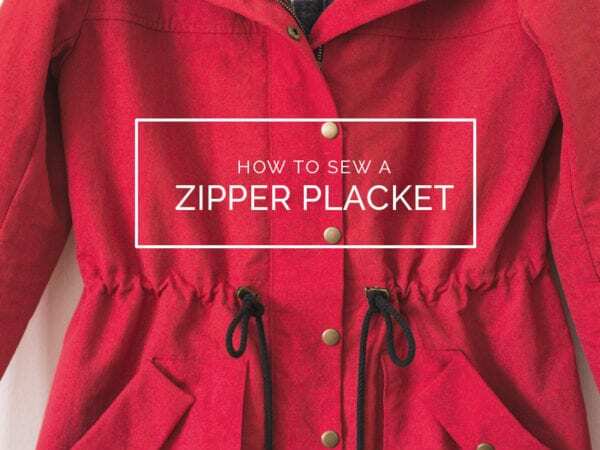 Of course, it is important to keep in mind that without a lining, all seams are exposed on the inside of the jacket. 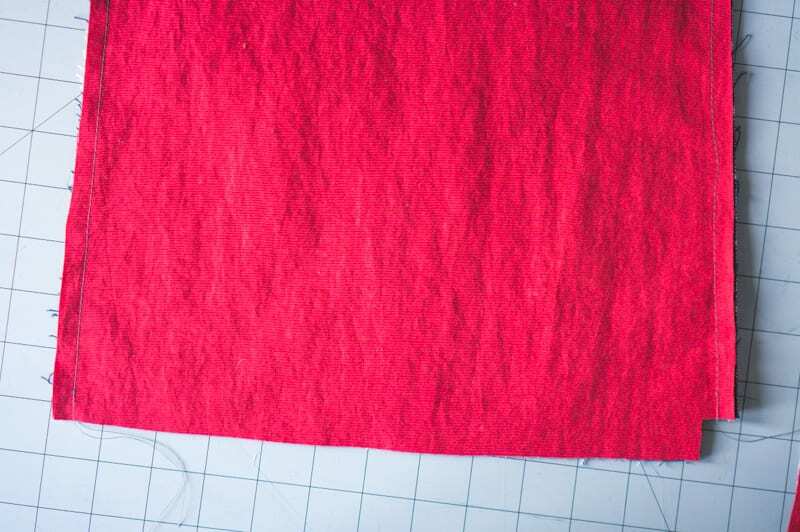 I choose to flat fell all of my underlined pieces since my fabric was thin enough to allow me to do so. 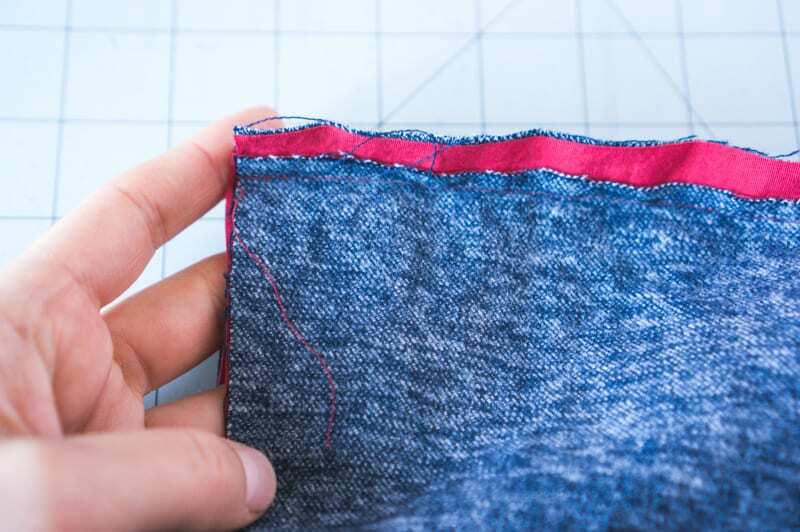 If your fabric is too thin, you should finish your seams with a serged stitch. Below you can see how I flat felled the hood seams; just think of your underlined pieces as one layer of fabric rather than two. 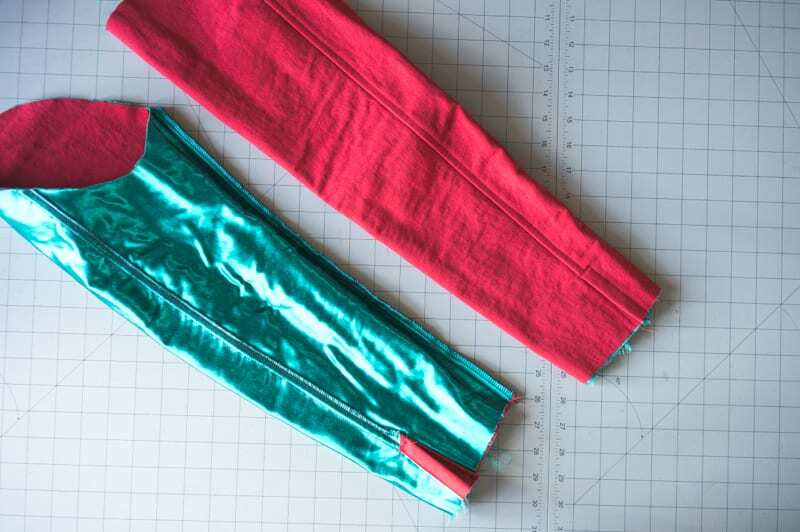 Since the kasha lining on the sleeves was a little too slippery to flat fell, I finished the sleeve seams with a serged and topstitched seam. 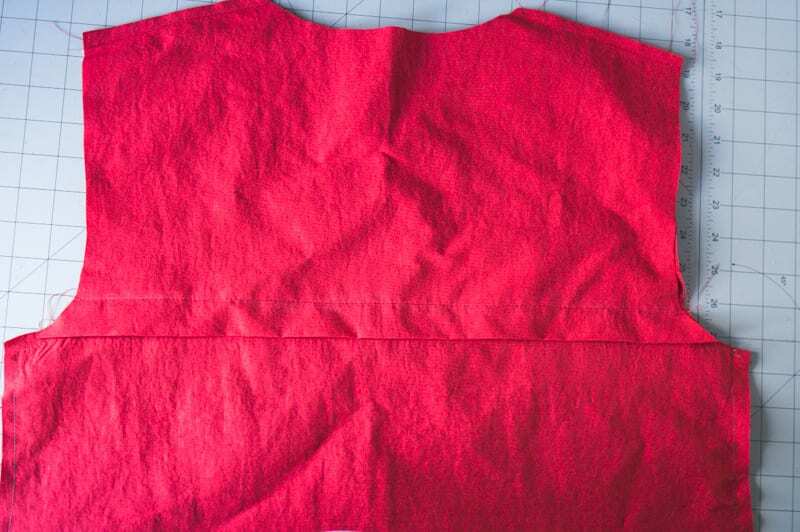 As I mentioned, it is best to leave the underlining free at the hem when you are basting your pieces together. 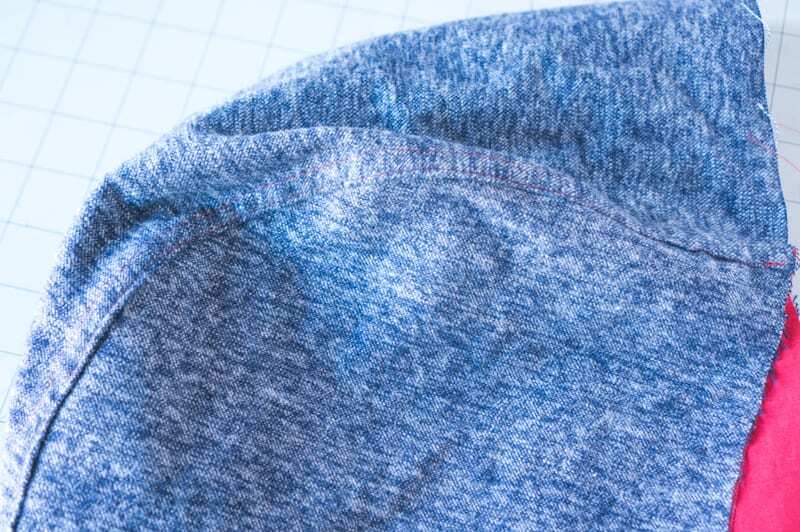 As you can see below, when I pressed body and underlining fabric up along the hem, the underlining was significantly longer due to the turn of the cloth. 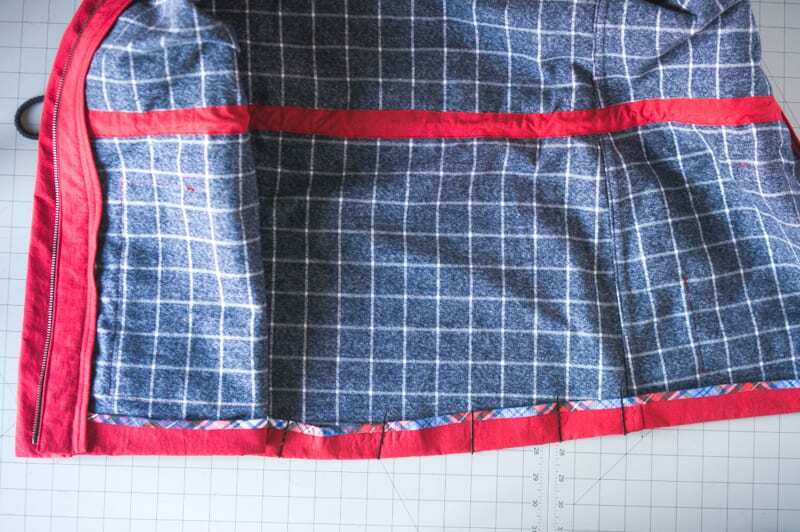 To resolve this I trimmed off the excess flannel and then finished the hem as usual with a Hong Kong finish. Are you planning on underlining your Kelly or are you part of the “Please give us a lining” chorus?